Moscow has followed Washington's lead in suspending its commitment to the Intermediate-Range Nuclear Forces Treaty, a 1987 agreement which eliminated the two countries' land-based ballistic and cruise missiles in the 500-5,500 km range and dramatically reduced the risk of nuclear war in Europe. President Vladimir Putin announced on Saturday that Moscow too would suspend the INF Treaty following Washington's announced withdrawal on Friday. NATO released a statement in support of the unilateral US move, blaming Russia and claiming that Washington made the decision "in response to the significant risks to Euro-Atlantic security posed by Russia's covert testing, production and fielding" of a ground-launched cruise missile system. "Allies regret that Russia, as part of its broader pattern of behaviour, continues to deny its INF Treaty violation," the NATO statement said, adding that Moscow has "taken no demonstrable steps toward returning to full and verifiable compliance." Russian officials have repeatedly dismissed the US and NATO claims justifying Washington's withdrawal, saying they failed to present any concrete evidence of Russian violations, "apart from tweets." The INF was envisioned as a cornerstone of global, and especially European, strategic security. Accordingly, after Washington's announcement that it would be scrapping the treaty, senior officials and diplomats from major NATO countries in Europe made clear that the Western alliance is divided on the implications of the agreement's collapse. Germany, one of the main beneficiaries of the INF Treaty, was most notably concerned. On Friday, Chancellor Angela Merkel announced that Berlin would do everything in its power to try to save the deal. "We have discussed this [the INF Treaty] in the past weeks, including within NATO…We will do everything within this 180-day timeframe…to continue negotiations," Merkel said. Spain's foreign minister was similarly anxious. In a post on his official Twitter account on Saturday, Foreign Minister Josep Borrell Fontelles warned that "the suspension of one of the most important nuclear agreements of the Cold War is bad news, which adds instability in the international arena." The French Foreign Ministry also voiced concern over the US withdrawal, while calling on Russia to use the six-month window to keep talks open. "France regrets to arrive at a situation in which the United States had to notify its withdrawal from the INF Treaty," a statement by the ministry noted on Saturday. Paris, the statement added, remains committed "to arms control instruments, which help to ensure strategic stability." Austria, not a NATO member but similarly concerned about the implications of the end of the INF pact on European security, also expressed regret over Washington's move. "The US decision to withdrawal from the INF is regrettable. The signing of this treaty in 1987 signaled the start of a big thaw in US-Russian ties. It was a milestone in ending the Cold War," Austrian Foreign Minister Karin Kneissl said. Even Poland, a stalwart ally of the United States, was forced to squash rumours that it was preparing to host US nuclear weapons on its territory amid news of the end of INF. Downplaying German media reports to the contrary, Polish Foreign Minister Jaceck Czaputowicz stressed that Warsaw does not want US nukes on its territory "at all," stressing that their deployment would depend on whether Russia would continue with its "aggressive arms policy." European Union foreign policy chief Federica Mogherini voiced concerns over the INF's demise. "What we definitely don't want to see is our continent going back to being a battlefield or a place where other superpowers confront themselves," she said, speaking to reporters on Friday. On the other side of the world, Japanese Foreign Minister Taro Kono adopted a similarly concerned tone, telling reporters that it was "not desirable for the world if the pact comes to an end," even if he could "understand what has led the United States to consider suspending its obligations under the treaty." Canada's Foreign Affairs Ministry broke with the sentiment expressed by many of its European colleagues, voicing its full support for Washington's decision to exit the INF. "Canada strongly supports global non-proliferation and disarmament efforts, which are essential to keeping the world safe. However, arms control only works if everyone follows their obligations…Russia has failed to comply with this important treaty, and Canada is disappointed that Russia's actions have led to [Friday's] announcement. Russia must come into compliance with this treaty immediately," a spokesman for Canadian Foreign Affairs Minister Chrystia Freeland said on Friday. Along with Moscow, Beijing issued one of the harshest critiques of the US move to exit the INF Treaty, with a Foreign Ministry spokesperson calling on Russia and the US to "properly resolve their differences through constructive dialogue." "The US unilateral withdrawal from the INF Treaty may trigger a series of adverse consequences," the spokesperson warned. The nuclear superpowers signed the INF in 1987, with the treaty aimed primarily at reducing the risk of nuclear war in Europe. 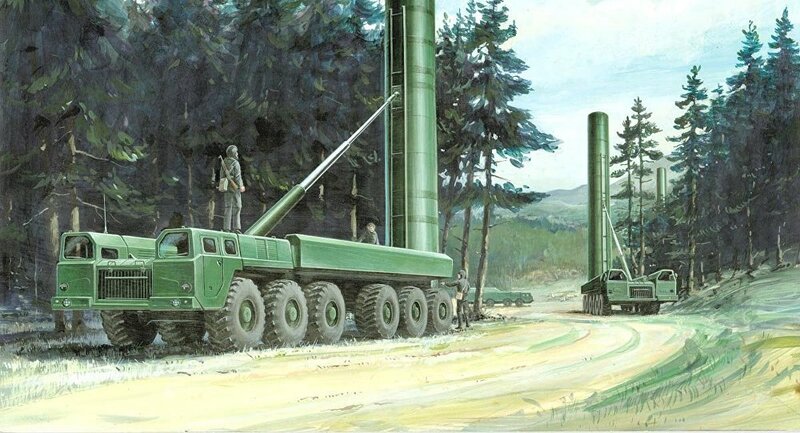 The INF committed the United States and the Soviet Union (and, since 1991, Russia) to terminating their stocks of missiles and land-based launchers with ranges between 500 and 1,000 km and 1,000-5,500 km, respectively, and prohibited the missile technologies' development. The treaty resulted in the destruction of some 2,692 missiles by mid-1991, and significantly reduced the risk of nuclear war on the European continent.